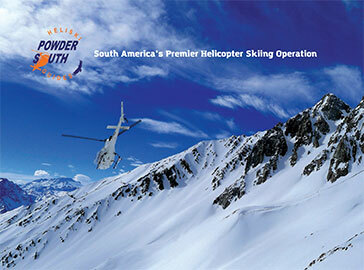 POWDER SOUTH operates in the Chilean Central Andes, primarily between latitudes 32 degrees and 35 degrees South. We are based outside of Santiago, Chile, where we have access to thousands of hectares of unlimited terrain. Such terrain includes the Aconcagua, Juncal, and Rio Colorado Valleys to the North; the Olivares, Parraguirre, and Tupungato Valleys located centrally, and the Aparejo, Marmolejo, Pangal, Rengo to Tinguiririca Valleys to the South. 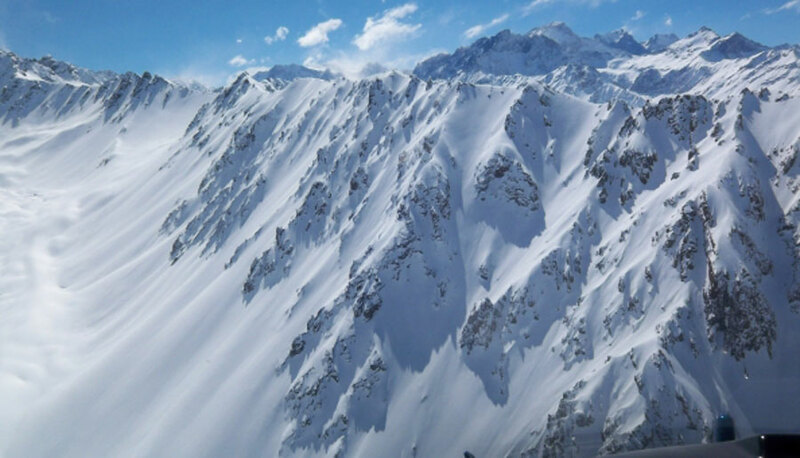 This is an amazingly vast mountain region offering a wide variety of perfect heli-skiing terrain, from glaciated Andean peaks to steep ridges and gullies, with elevations ranging from 2,500 meters (8,250 feet) to 4,500 meters (14,850 feet). You almost have to see it for yourself to believe it. Every run is surrounded by a breathtaking backdrop of 6,700-meter (22,000-foot) peaks. Are you not an expert skier or snowboarder? No problem. Our highly skilled, experienced, and professional guides find terrain to match every skier and snowboarder’s ability and standards. With endless terrain and vertical available to POWDER SOUTH, our guides find safe runs for those who want to challenge themselves and improve their skills as well as those who want a mellow, fun, and exclusive powder day in the backcountry. We have the benefit of a maritime snowpack, which is light and dry due to the high altitude, synonymous with champagne powder at its best. Snow accumulation comes from the Pacific Ocean, a mere 100 miles (160 km) west of the Andes. Flying conditions are best during winter due to an almost zero thermal reduction, which keeps the cumulus clouds away and leads to an abundance of bluebird days.